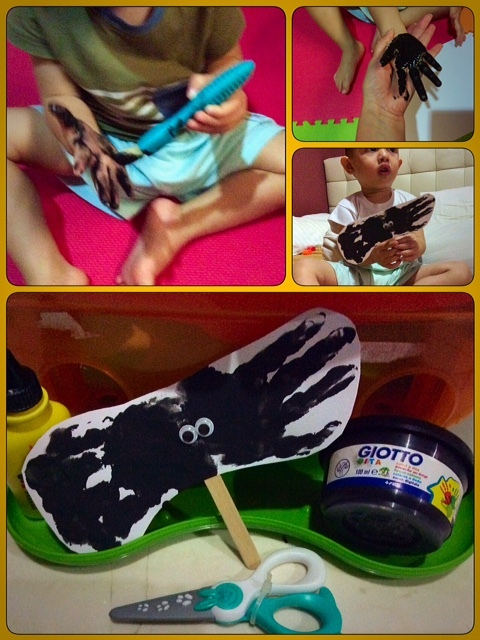 Paint your child’s hand and then ask them to press it on the white paper. Do the handprint back to back to get the spider’s leg from four fingers. Cut the handprint out and glue them on the ice cream stick. While you’re doing this activity, you can share the value of persistence to your child, you know like a spider keeps trying to climb up the water spout eventhough there’s an obstacle so when we face problems maybe at school or to overcome our bad habits, we just don’t easily give up!